I got eneo eye for Christmas after having facial treatments at a clinic, mostly due to the outrageous price the clinic charges. I recently bought this device after reading many positive reviews about it. it does not only have an out-of-this work sensation while gliding on my skin but also very effective in the reduction of dark circles around my eyes. I’m so proud of my new radiant eye look! I’m one person who is very concerned about my look. Unfortunately, just like nearly any other person, my adulthood has been characterized by tired eyes, but that’s now history, thanks to Avologi Eneo Eye Concentrator. 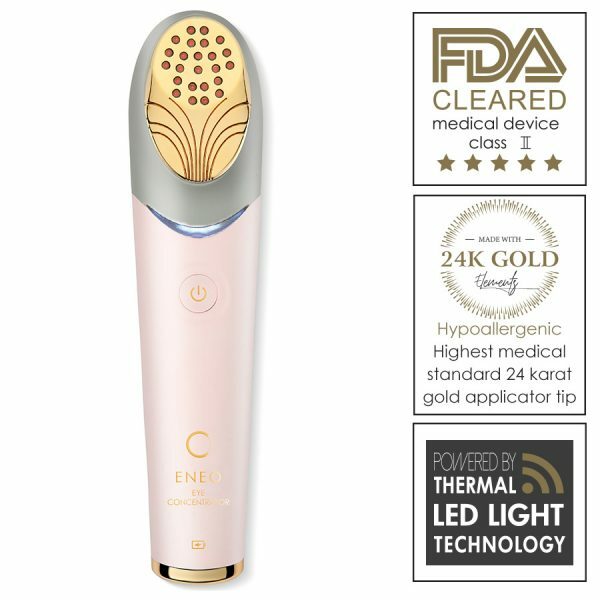 The skin around my eyes becomes firmer and more radiant with each use of this device. Having used Avologi Eneo Eye Concentrator for about three months, I have experienced significant improvement in my eye region. The skin has become tighter and the fine lines that had started to develop have faded away. I’d recommend this device to someone unreservedly. Considering that my skin is very sensitive, I’m very cautious about the skin products I use. Nevertheless, the salesperson who introduced me to Avologi Eneo Eye Concentrator assured me that it is friendly on all skin types and I’ve come to confirm it. It’s very gentle on my skin and works wonders. I have been using Avologi Eneo Eye Concentrator since last month but one and I’m truly impressed with the results. I can now step out with confidence knowing that the dark shadows under my eyes are almost invisible. Highly recommended! Crow’s feet was a major concern to me until the time I discovered and started to use this device. Although the lines didn’t go away instantly, I have witnessed a remarkable improvement. I’d strongly recommend the device to anyone with a similar problem. The best eye-area skin product! I nearly went for minor surgery to reverse the aging signs around my eyes, but just before I made up my mind about the idea, I bumped on this device. On the third week of using it, people who are close to me had already started to note a difference in the areas. Today marks the fourth month and I’m very amazed by the results so far. Before Avologi Eneo Eye Concentrator, I had used tens of products to remove my dark under-eye circles but none was as effective as this device. I always thank the minds behind its technology because it's revolutionary. 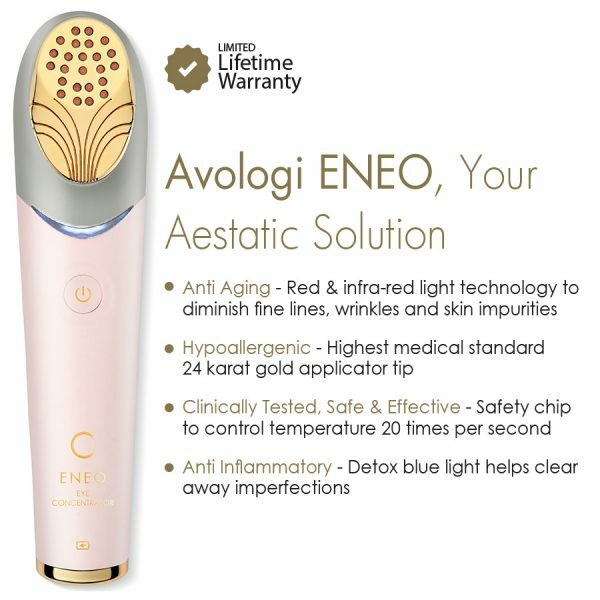 Avologi Eneo Eye Concentrator was recommended to me by one of my colleagues after she heard me ranting how I was bothered by my eye region’s discoloration and other aging signs. I ordered it the same day and received it in 2 days. I’m excited to report I look much younger, thanks to this device. I turned 50 last month and Avologi Eneo Eye Concentrator happened to be one of the items in the gift hamper that my hubby spoilt me with on my big day. He told me that his sister convinced him to buy as it had worked wonders on her skin. Similarly, I’m happy because one month down the line, it has minimized puffiness around my eyes and as a result, I look a bit younger. Unlike some other eye products that I had previously tried, this device amazingly gentle on my skin. For a long time, about seven years, I used nearly all eye-area skin products to get rid of the fine lines and wrinkles around my eyes. However, most of them were too costly to keep on buying for a long time. I’m very lucky for finding Avologi Eneo Eye Concentrator at last as it is very cost-effective in the long run while the results are satisfactory. I’d advise anyone out there (especially an over 40 like me) looking for an eye area product that will reverse aging signs (wrinkles, fine lines, saggy skin and/or dark circles) to consider using this product. I have used it for a year and so, can confidently attest to its effectiveness. I first learned about this Avologi Eneo Eye concentrator from my work colleague – she could not shut up about it during her first week of ownership. All she kept saying was how great this device is. At first I did not pay attention but when I did I took a second look at her eye region, it was radiant than I had ever seen before from her. This device has jumped to the top of my purchase list. 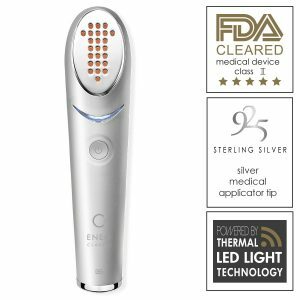 The Avologi Eneo Eye concentrator is without a doubt my favorite skin care device. I love the sensation it gives me when treating my skin on the eye area. I can use it while lying on the bed or sitting in front of the television. The way it massages my skin helps relieve any stress or tension I had during the day. I have used this Avologi Eneo Eye concentrator device for less than a week now and I can see a positive change in my skin complexion around the eye region. Over the past month, our firm has expanded exponentially. Unfortunately, I have been working tirelessly and my sleep deprivation started showing under my eyes. The dark circles were affecting my confidence and so I decided to buy this eye concentrator. 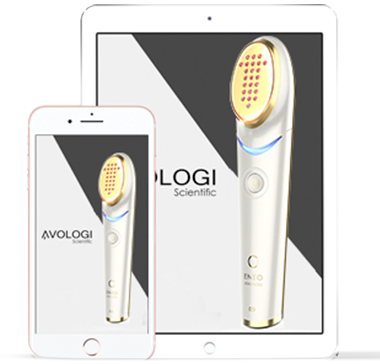 I am thankful to Avologi because this device will reduce those dark spots. Now I can focus all my efforts on work instead of being overly self-conscious about my appearance. They say that the eyes are the windows to the soul but for me the eyes are the markers of a person’s age. I am 60 years old and once upon a time, you would think I was pushing 70 years due to the wrinkles and eye bags that had formed under my eyes. Fast forward two month later and now me and my friends (age mates) look like we are in our late 40s. This is all thanks to this Avologi Eneo Eye concentrator. I am extremely cautious about what I expose to my skin. For me, this under-eye therapy device was a dream come true because I do not trust skin care solutions. 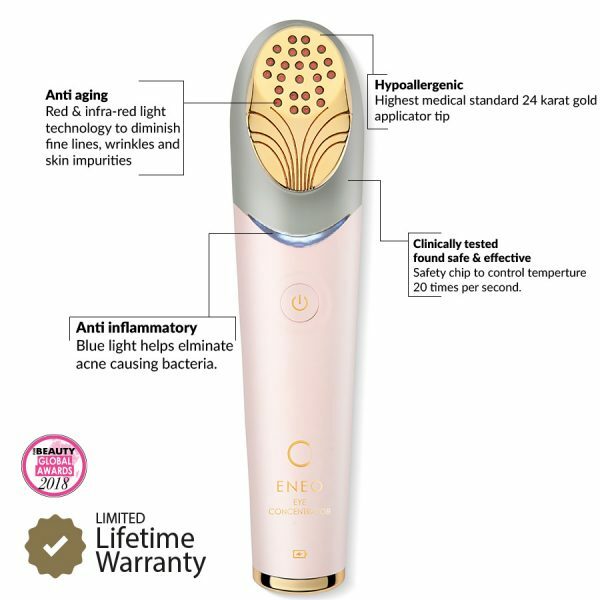 Before I purchased this device, I only used to apply natural solutions that I extracted myself like avocados, cucumbers, aloe vera and papaya. The results were okay but this device blows them out of the water when it comes to smoothening skin. I recently learned that smoking cigarettes causes dark spots under eyes. My habit of smoking more than one cigarette pack resulted in profound dark spots under my eyes. 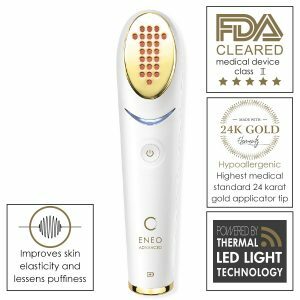 I thought the results on my skin around the eye area were permanent but after using the Avologi Eneo Eye concentrator, most of the dark spots have reduced. Apart from the amazing results on my skin around the eye area, I love using this device for its simplicity. I can use it anywhere at home. My favorite thing to do is treat my skin with this eye concentrator as I watch my favorite TV shows. The Avologi Eneo Eye concentrator has transformed my skin on the eye area for the better. The skin under my eyes is thinner than on an average person. This resulted in the formation of under eye wrinkle lines as the skin ages. I started using this device a couple of weeks ago and it has reduced a majority of the wrinkle lines that had formed under my eyes. I absolutely love this Avologi Eneo Eye concentrator. Long ago, when I went on vacation with my family I tended to have poor skin car habits where I over exposed my face to the sun and ruined family photos. I learned that over exposing my skin to sunlight caused dark spots and wrinkles around my under eye region. Now, I can simply carry this device with me when on vacation. With the device, I can constantly treat my skin on the eye region during the early hours of the day and night just before bed time so that my kids don’t accuse me of ruining our family photos. My procedure of using this device is pretty simple. First I always make sure that my face is well cleansed and dried. Depending on the day this procedure normally takes about 10 – 15 minutes. After drying my face completely, I plug in the Avologi Eneo Eye concentrator and start the therapy. This lasts about 10 – 20 minutes depending on the day’s schedule.